Count on Captain Charles Moore to tell it like it is. The “blue water” sailor discovered in 1997, while returning home from Hawaii, that the North Pacific Ocean was becoming “a disgusting, plastic cesspool.” That encounter with civilization’s “plastic footprint” not only redefined the focus of his organization, Algalita—it reignited a new mission for Moore. He had grown up in Long Beach, California, swimming in Alamitos Bay and sailing to remote places like Guadalupe Island and Hawaii, and had seen first hand the decline of coastal marine ecosystems -- which had initially led him to found Algalita twenty years ago. 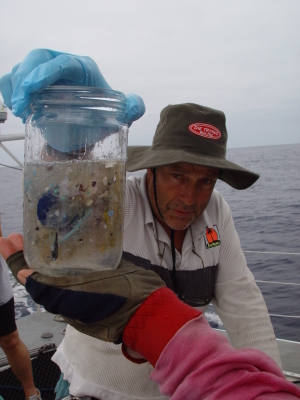 Prior to Moore’s first research voyage in 1999, nobody had conducted an expedition to study plastic marine pollution in the area that has become known as “The Eastern Garbage Patch.” Since then, Moore has become a world-renowned investigator in this field. He has continued leading sea expeditions, combing through more than 150,000 miles of ocean, and authors scientific papers on plastic particulate pollution. 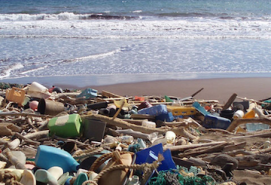 Moore’s “do-it-yourself”, entrepreneurial brand of environmentalism — described in his book Plastic Ocean—has brought worldwide attention to the issue. In Moore’s blunt, yet rousing style, he speaks to audiences across the globe, explaining how plastic debris can even be seen as the No. 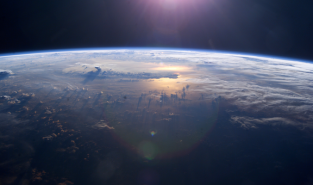 1 threat to the planet. Moore won the 2014 Peter Benchley Ocean Award “Hero of the Seas” Award, among many others, and has been featured as the Great Pacific Garbage Patch expert on “Nightline”, National Public Radio, Rolling Stone, The Wall Street Journal, NBC, CBS, CNN and more.